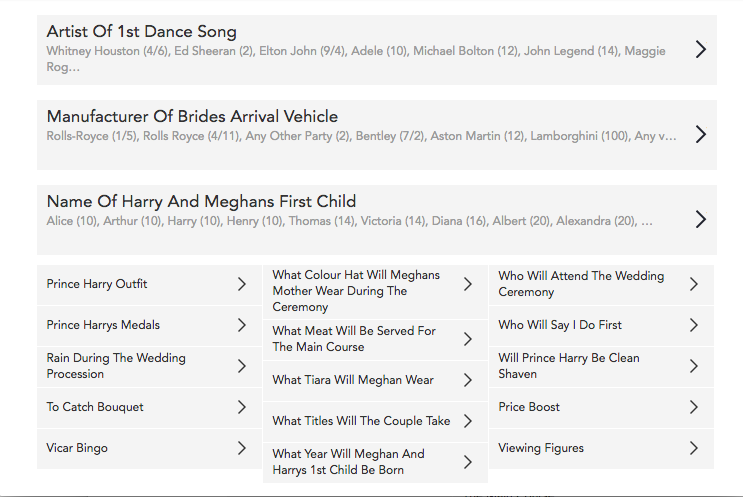 There are about a dozen or so prop bets being offered for Saturday's Royal Wedding with lots of wagering action expected throughout the UK, Europe and North America in particular. Odds include the color of Meghan Markle's mum's hat. Prince Harry and Meghan Markle will enter St George's Chapel via the Galilee Porch, by foot or car.